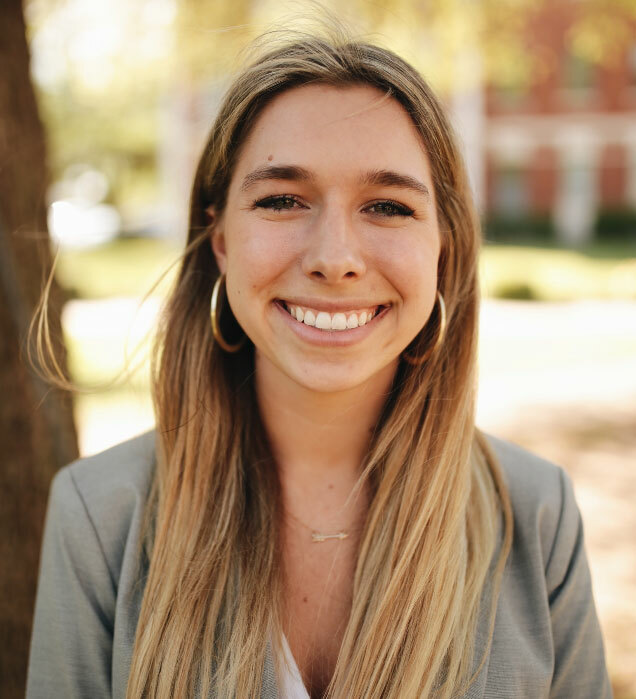 The Student Body External Vice President is a connecting officer for Baylor's student body to the Greater Waco community. The EVP also serves as the liaison to state and national levels of governmental relations. By reaching out to city, state, national, and university partners in a broad spectrum of communities, this office is able to contribute to as well as advocate for a full Baylor experience. The office works in relational areas regarding community, government, alumni, and university in order to make the student experience at Baylor holistic. Sloane Simpson is a Junior Entrepreneurship and Marketing major from San Antonio, Texas. Since her time at Baylor she has been drawn towards opportunities to serve and lead Baylor’s community of students. Her freshman year she served as the class Secretary-Treasurer and spent her summer working as a Line Camp and Orientation leader. She further pursued her passion of Student Government sophomore year serving on the cabinet of the External Vice President as the Director of Student Organization Engagement. While serving alongside the former EVP, Sloane was constantly inspired by the cabinet’s mission to creatively and effectively build a lasting relationship between the Waco community and Baylor students. Her experience serving Baylor, combined with her love for the city of Waco, led her to develop a strong vision for the University: For Baylor to continue to serve as a thriving university deeply rooted in both its students and city. One of her main objectives is to strengthen relationships between students, Waco, and alumni. She plans on achieving this by making the Baylor Mentor Network more accessible to students, and continuing projects such as “I Love Waco Day” and Humans of Waco. Additionally, Sloane wants to focus on creating a Student Government that is representative of the diverse backgrounds, ideas, and passions of Baylor’s students. Sloane believes the path to being a voice for the student body starts with being informed and interested in the lives of Baylor’s students; and her hope is to begin and continue these important conversations as a leader and example of the inclusive and integrated community she envisions.